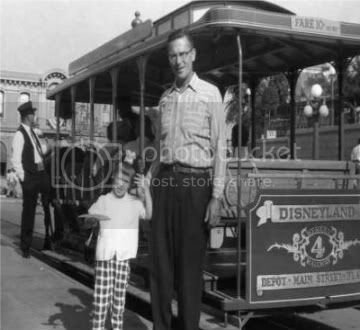 My Dad & yes that's me with my Minnie Mouseketeer Ears getting ready for a trolley ride at Disneyland. Where did all the time go? I miss my wonderful Dad, he taught me to swim, ride like the wind on our horses, ride a bike, garden & so much more. He always said "Never lose your sense of humor". 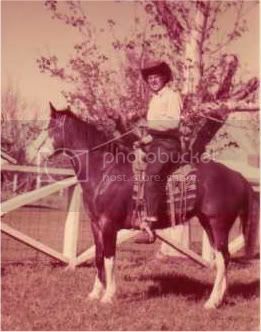 Dad built his dream ranch in Woodland Hills California with beautiful horses & all. That's KC our gorgeous Bay Quarter Horse & Dad. My father 'Ray Jewel Lutton' was the Lead Foreman at Douglas Aircraft Company in Long Beach & Torrance California for almost 30 years. He supervised 100s of aerospace workers that built DC 10s to the NASA Spacecraft's Apollo 11, 12 & 13. 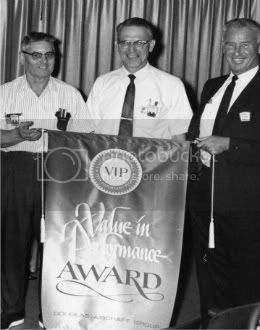 In this PIC Dad's receiving one of the many VIP awards that the Douglas Aircraft Corporation bestowed on him & his aerospace division. Dad always reminisced about his days on his Mother & Father's Estate 'Captain Kellogg's home - George Washington's Captain' in Hartford Connecticut. The tales I could tell, but I'll need to find the photo albums & his diary. Next Father's Day, more memories, photos & his beautiful art work. As those years travel by. But knowing you were loved from the start. And happiness with love to you on this Father's Day. What a lovely post Lyndy! Hope this note finds you well & miss you! What a sweet photo of you and your Dad, and a lovely tribute you wrote to him. Sounds like you have some beautiful memories! Hoping you & yours have a wonderful 4th of July holiday weekend! What a beautiful poem Lyndy! Loved the old photos. Especially the horse (of course)! Popping in to say hello & wish you a wonderful weekend! PS: Hope you are feeling better! Thank you for stopping by. I love writing poems. I really miss our horses & Dad so much. Thank you for your nice comment too. Hi Chris, you always make me smile! Thank You Chris... :) Miss being Daddy's little girl. I'm getting better, slowly but surely.